Earlier this week, the Obama administration paid out $490 million in cash to mullahs in Iran and will have given the Iranian regime a whopping $11.9 billion in cash by June 2015 when this third and latest round of nuclear talks are scheduled to end according to figures released by the U.S. State Department. The $490 million transfer to Iran was the third payment sent to Iran as part of the interim agreement between Iran and the Obama administration during an extension agreed to last November. 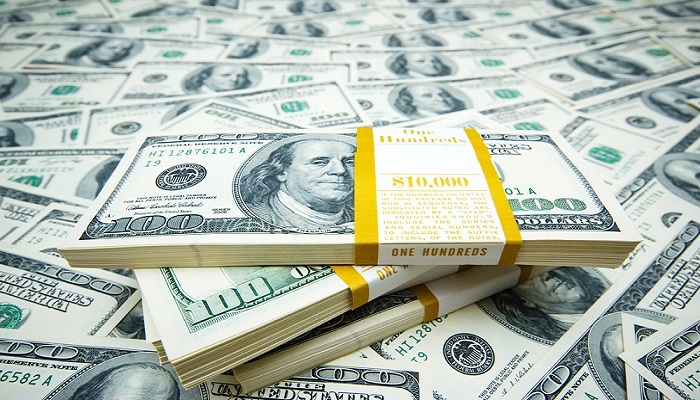 Under the agreement, Iranian regime will receive a total of $4.9 billion in unfrozen cash in 10 separate payments through June of this year in the hopes a final nuclear agreement can be reached. This comes on top of $4.2 billion Iranian regime received as part of the 2013 interim agreement, which the Obama administration followed with another $2.8 billion last year in a last ditch attempt by the Obama administration to entice mullahs in Iran to stay at the bargaining table. Iran loyalists and supporters have touted the payments as the down payment on building trust between Iranian regime and the rest of the West. The more rational view is that the U.S. has been suckered by mullahs in Iran into handing over billions in cash which mullahs have put to good use funding their various foreign adventures. Namely to fund Hezbollah militias in Syria and their likes in Iraq to kill innocent people. The payments have come at an especially good time for Iran as plunging oil prices worldwide coupled with massive outflows of cash to support terror groups such as Hezbollah and prop up the Assad regime in Syria and fund a growing war in Iraq have drained Iran’s foreign currency reserves and placed it on shaky financial footing. • Iranian regime’s control of the Iraqi government of Nouri al-Maliki led to the sectarian war against Sunni tribes and weakened its military to the extent ISIS was able to swiftly move across Iraq and enabled mullahs the excuse to move large numbers of troops and arms into Iraq in a de facto takeover of the country. In each case, the flow of cash from the U.S. softened the financial blows of these adventures and enabled Iran’s mullahs to keep an iron grip on its domestic politics with continued oppression of its people. While Iran’s lobbying groups such as the National Iranian American Council would have Americans believe the release of these funds was an act of good faith that will be rewarded with a more peaceful future, the truth has been the opposite. Iran has made no significant concessions except a promise to reduce the rate of enrichment of nuclear fuel. Iran has increased its crackdown domestically and significantly stepped up its role in extremists and military activities worldwide in the two years since the payments began. A new Congress should be asking the tough questions of what exactly $11.9 billion has bought from Iran. The only is unfortunately nothing.